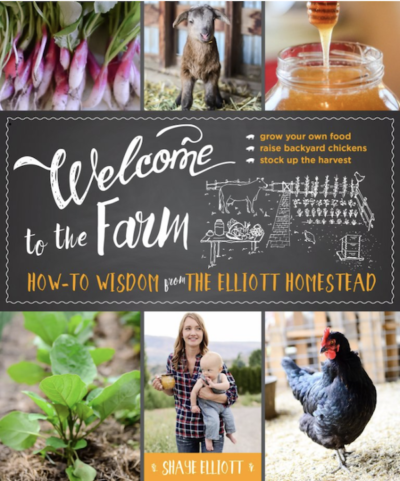 In this episode we talk about what it’s really like running a homestead – from raising dairy cows, laying hens, meat chickens, hogs, sheep, turkeys, and growing produce in a large organic garden. 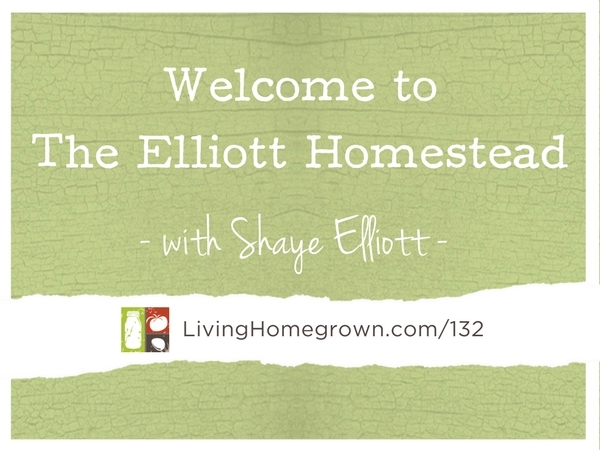 I’ve invited Shaye Elliott, author of Welcome to the Farm and blogger for The Elliott Homestead, to talk about running a super active homestead that’s full of animals, food gardens, four active children, and how she manages to make it all run and operate at the same time. She shares how ordinary, everyday moments can be magical and that’s what life is all about. 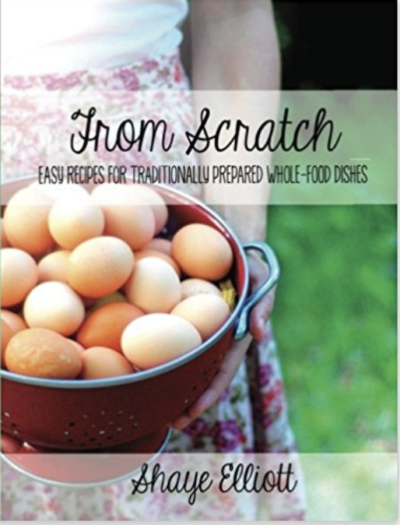 Shaye Elliott is a farmer, wife, mother, blogger, and homecook. Seven years ago, she started a blog that encompasses so many of the things she desperately loves – her bearded husband Stuart, their quiver of children, and life on the farm. Shaye and her family live on a small handful of acres in North Central Washington and on that land, they raise their dairy cows, a giant flock of laying hens, meat chickens, hogs, sheep, turkeys, and a variety of produce in our large, organic gardens. 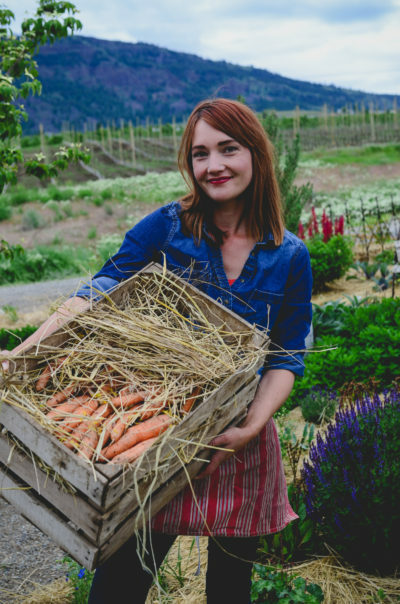 Shaye and her husband farm to provide their family with as much homegrown food as possible – learning the ways of the land and the ways of the past. They preserve food, stock up the larder for winter, and are ever working towards growing more. The laundry hanging on the line may cause some to think they’re old fashioned. And maybe that’s true. But they seem to be just fine with that. Where Are You On Your Farm Fresh Journey? It will tell you where you are on your journey and the steps needed to get to the next level. What a great podcast! Raised so many ideas concerning attitudes to real food and home schooled education. Like many inspirational people you wonder how they fit it all into the same 24hrs that you have. So glad you enjoyed it John. Anyone have the make and model of the popcorn machine used to roast coffee beans? I loved this interview! I listen to several gardening/farming podcasts that I really enjoy. However, I always wish there were interviews with more people with kids because as a mom of two young children, I want to know how to approach this sort of lifestyle with kids. Great ideas about how to integrate everything! Oh good Laura! I have more episodes like this coming! Stay tuned. Thank you, Theresa, for all of the hard work you put into your podcasts. I love listening while I’m working. I greatly enjoyed your interview with Shaye Elliott and I had hoped to watch the pilot episode of her show through the link you provided, but I couldn’t seem to find it. Would you be able to direct me to a source for viewing it, since it doesn’t seem to be available through the Food Network website? Thank you!! Thank you for you kind words. I’m sorry for the delay in answering you.